looking gross. It stays on for hours and hours without flaking at all. I applied this on the morning go New Year's Eve and didn't remove it until 5am that morning and there was still no flaking! This mascara ticks all the boxes for me. Benefit 'They're Real' Mascara - available from Debenhams, £20.50. I have used Estee Lauder's Double Wear for years but never tried the Maximum Coverage version. It's fabulous and covers all my spots, scars and redness with ease. It stays on for hours and doesn't feel cakey. However, please note that this is an incredibly full coverage foundation so it's definitely not for those who want something light. Estee Lauder Double Wear Maximum Coverage Camouflage Makeup - available from Debenhams £32.50. Fabulous liquid eyeliner pen which lasts for hours and is incredibly black. This is my number one choice for liquid eyeliner hands down. A similar choice is NYX Professional Epic Ink Eyeliner which is also incredibly black, easy to apply and long lasting. 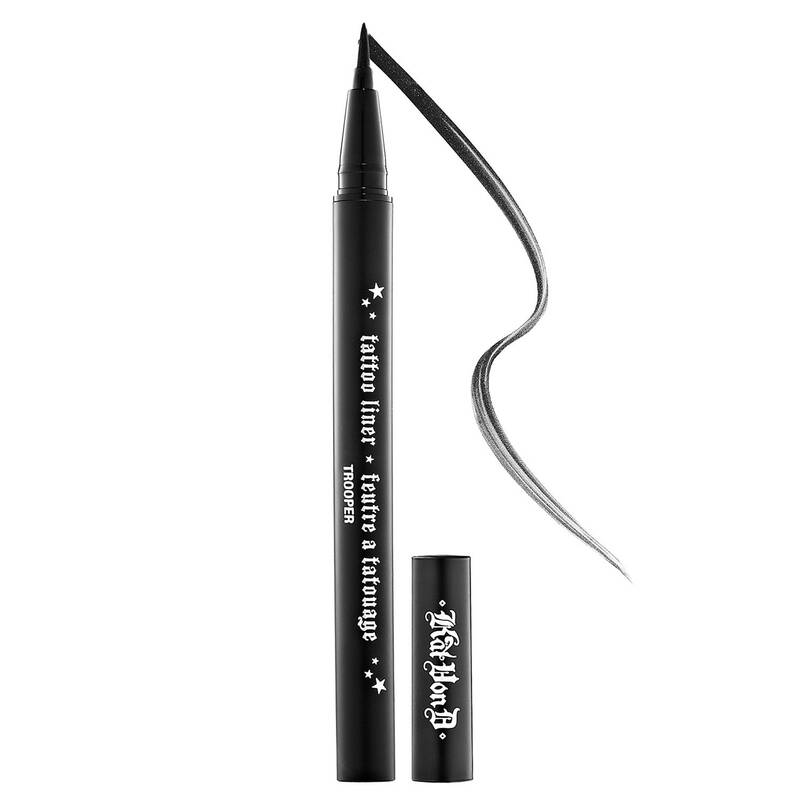 Kat Von D 'Tattoo Liner' Liquid Eyeliner in Trooper - available from Debenhams, £16.00. NYX Professional Epic Ink Eyeliner - available from Debenhams, £9.00. Amazingly beautiful cleanser to use. I have recently stopped using the Liz Earle Hot Cloth Cleanser and I just use this one now on a large cotton round. It has the most beautiful scent and my skin feels incredibly soft and clean afterwards. 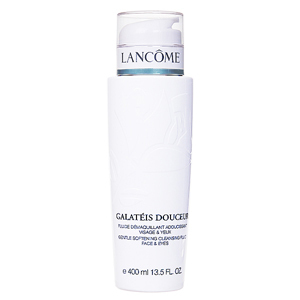 Lancome 'Galateis Douceur' Gentle Softening Cleanser - available from Debenhams, £23.50.